Here’s one of my Spicewood Special models in D2 steel. 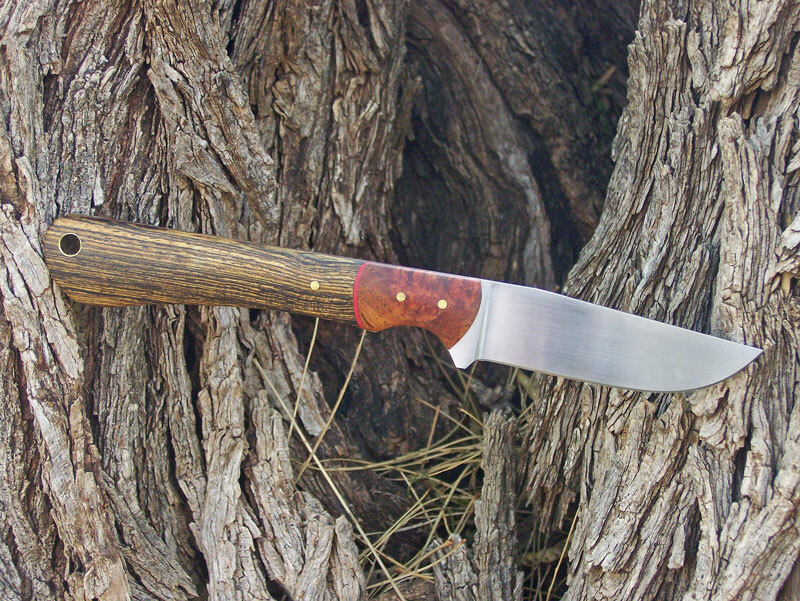 The dovetailed bolsters are stabilized amboyna, offset with red fiber liners. 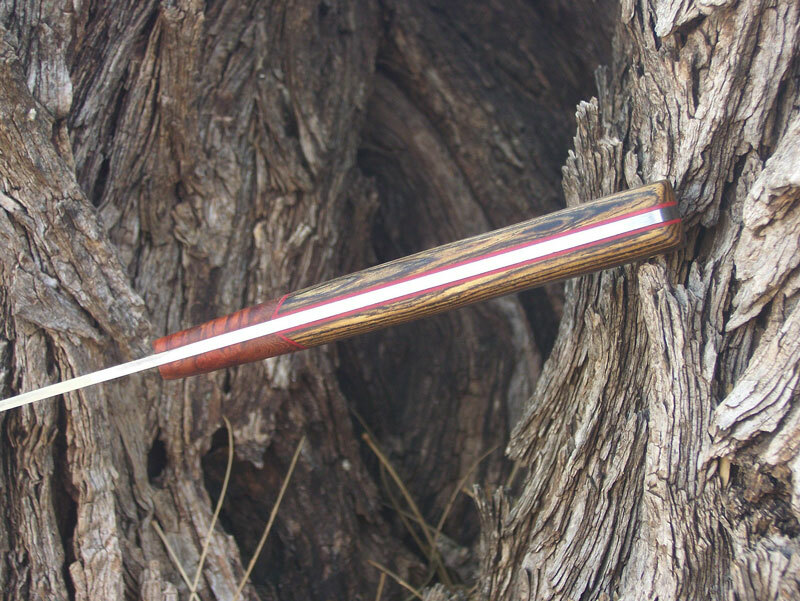 The handle is bocote. Fit and finish are excellent. 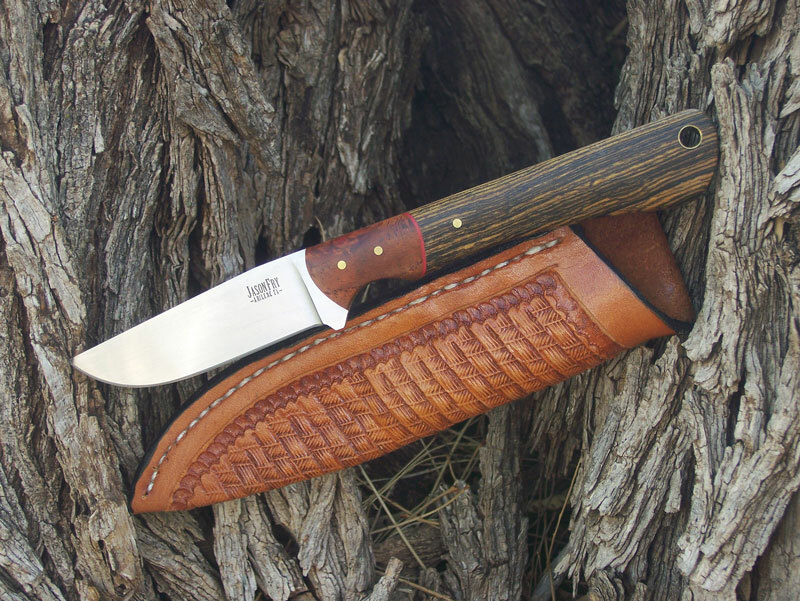 The sheath is my work as well, from Wickett and Craig leather.